Autumn is upon us once again & once October arrives, I am absolutely in love with the last three months of the year. Halloween, Thanksgiving & Christmas all sandwiched together in three months of fun, family & of course, food! One food I absolutely love is soup – I think that it would be completely possible for me to live on just soup & be perfectly happy. I mean, I think I’d need some macaroni & cheese every once in a while & I’d still want chocolate, but soup makes me pretty happy. So with that being said, I though I’d make a little post about three really delicious soups I’ve made in the past couple weeks. They are some of my favorites, they’re super easy to make & hopefully you’ll love them too! 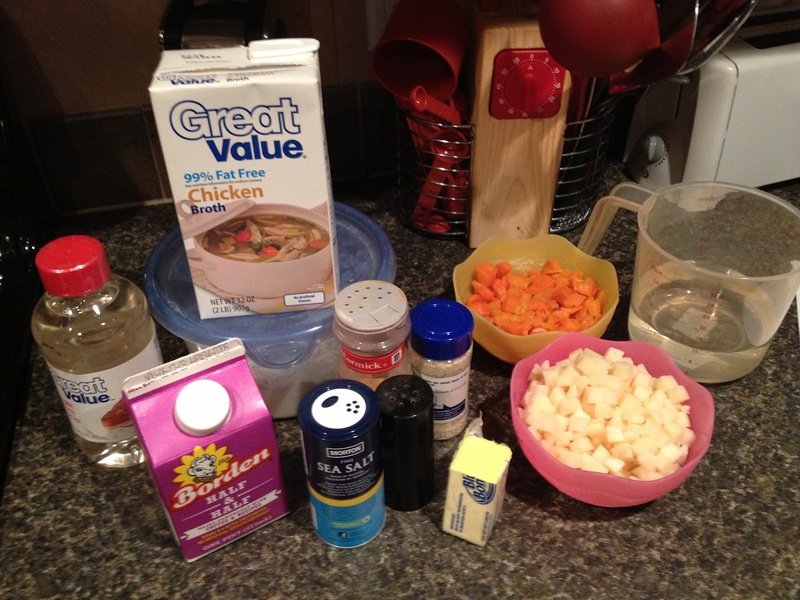 First up, the kind of soup I could eat a couple times a week – Potato Soup! Cut up your potatoes & cover them with water. 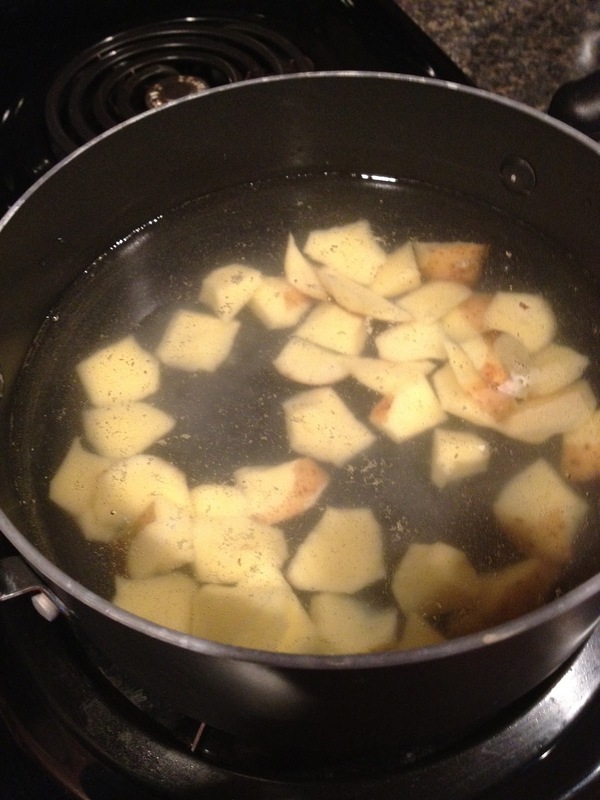 Bring water to a boil & cook the potatoes until they are tender; you should be able to stick them with a fork. Set aside one cup of the cooking liquid, strain off the rest of the water & sit your potatoes aside. Put the butter in your pan & melt, mixing in the onion as the butter melts. Add the flour & a little bit of the reserve liquid, whisking. 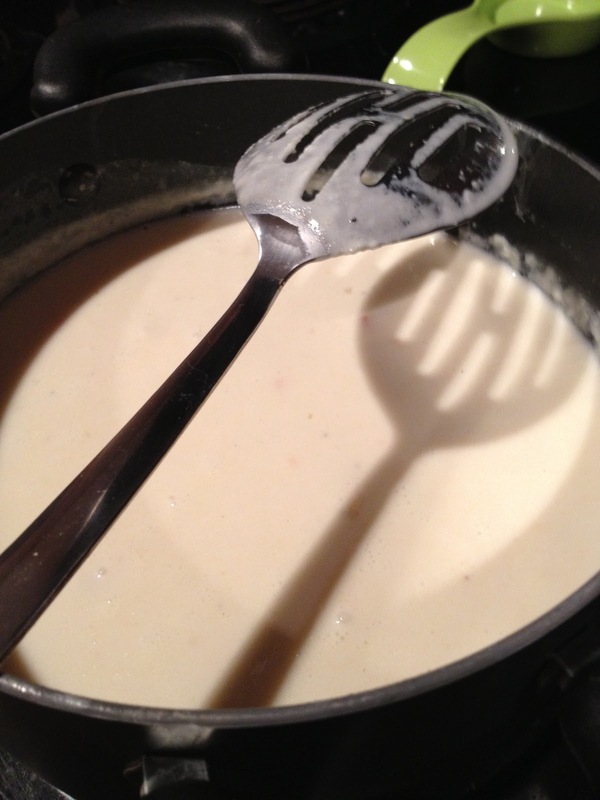 You should continue to add reserve liquid & milk at alternate intervals so that a rue forms; this will help your soup thicken. You will continue to add the reserve liquid & milk until you have added it all in. Sprinkle in salt & pepper as well as the teaspoon of sugar. Add back the potatoes, adding in your meat (be it bacon, Canadian bacon or ham – I’ve used all 3 & they all taste delicious) & your cup of cheese. Keep cooking on low heat for about 20 minutes until you reach the desired consistency. 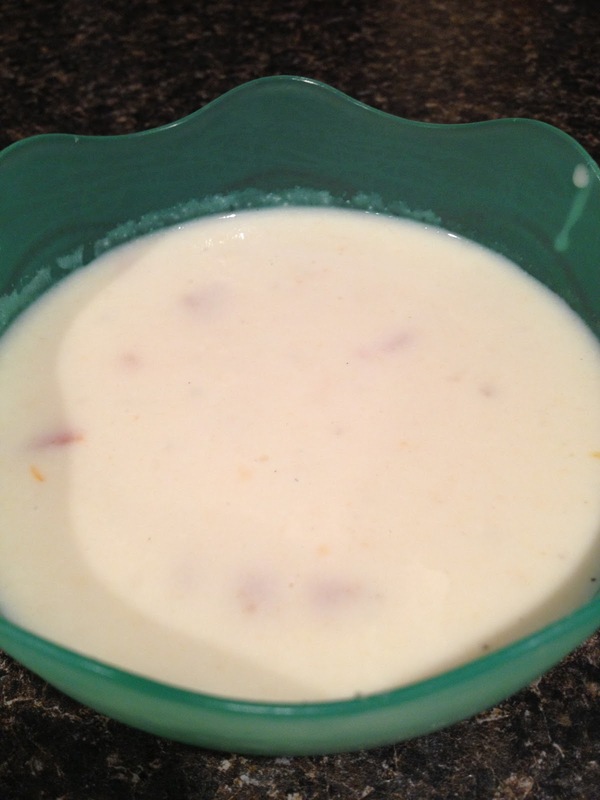 Be sure to stir this frequently because since it is a cream based soup, it will burn if you just leave it simmering on the stove! 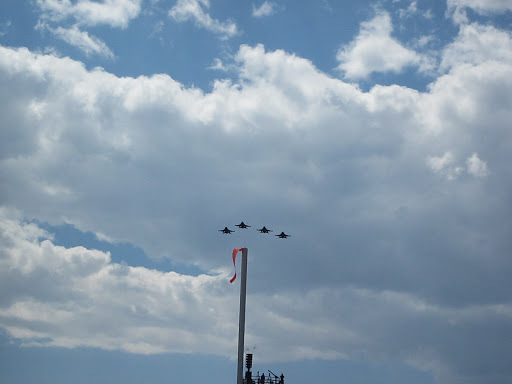 OK – change of plans on the pictures. Because they are being crazy weird, I’ll go ahead with the recipes first & then the pictures at the end. Not exactly what I had planned, but then again – plans change all the time & life goes on. 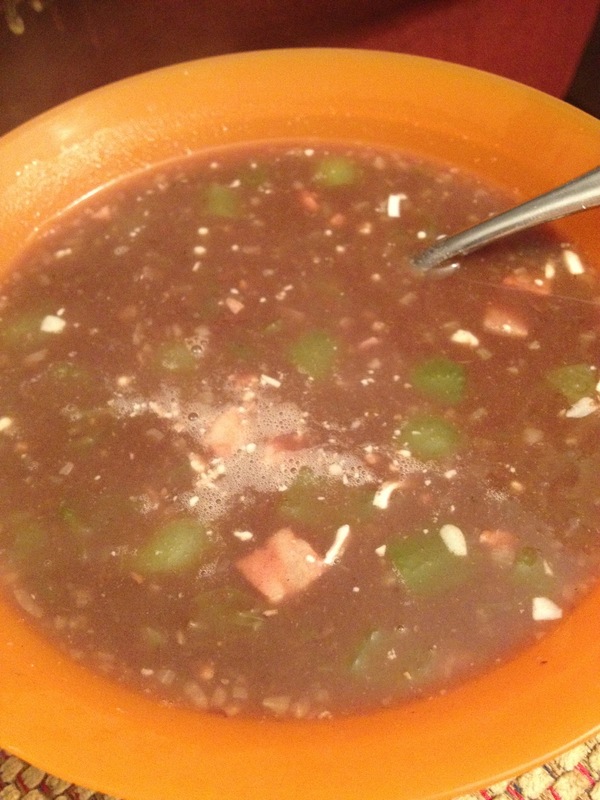 As do I…so moving right along…to Black Bean Soup! Chop up your bell pepper first & foremost – small dices work best. 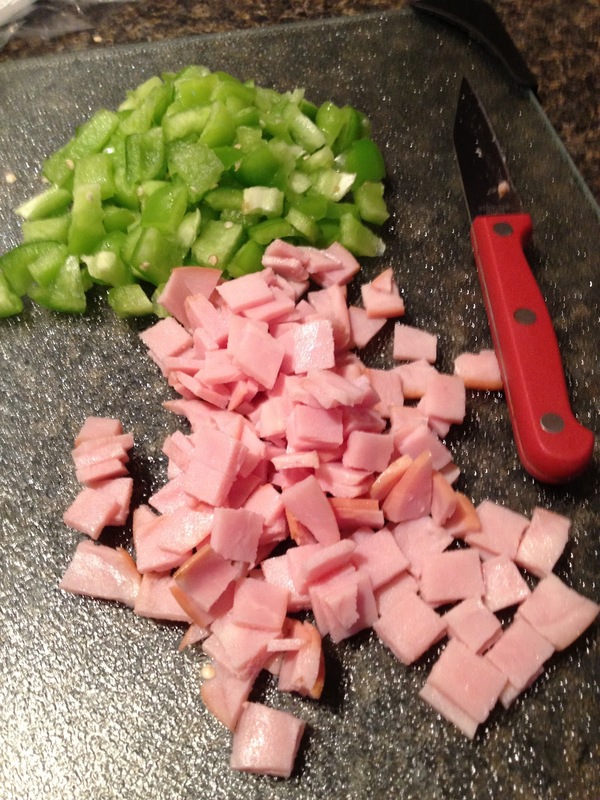 Cook the Canadian bacon, pepper, onion & garlic (this will make your kitchen smell delicious) – when it comes to that garlic, I use garlic powder & just read the label, it will tell you how much equals 1 clove. I believe if I remember correctly 1/4 tsp equals a clove, but check that to be sure! 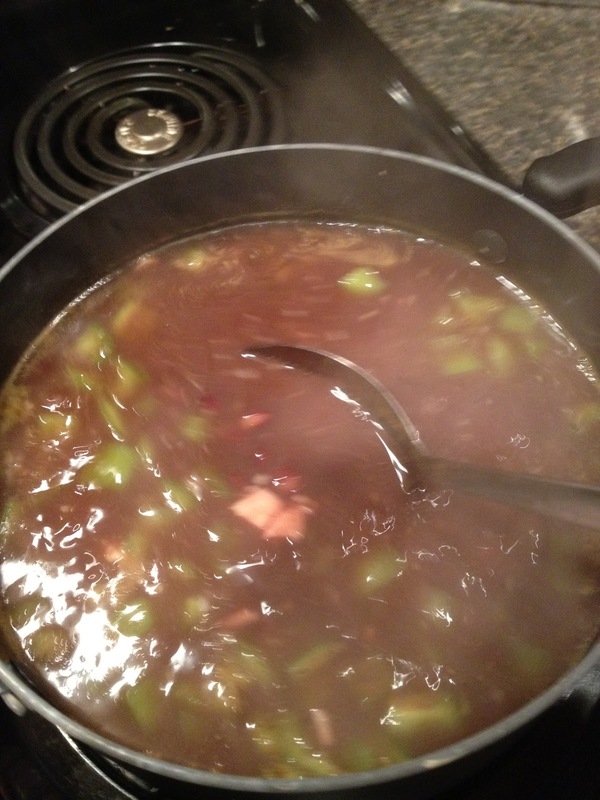 Add the chicken broth & 3 cans of beans, simmer for about 30 minutes. Puree 2-4 cups of the soup in the blender & then add it back to the soup & simmer for about 10 more minutes. This will help thicken the soup. You can top it with shredded cheese – mozzarella is good, but whatever you prefer! This is a really easy one & absolutely delicious. It has a great smoky taste. 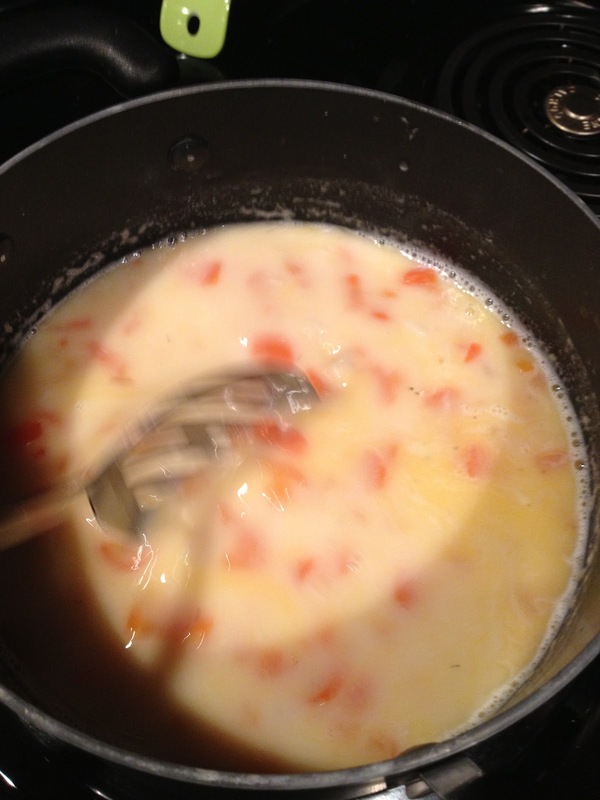 And…last but not least – Cream of Vegetable Soup! I don’t know if any of you have ever been to the Dixie Stampede, but my family has been several times. I remember the first time we went, the first thing they brought out was listed on the menu as a type of vegetable soup. I don’t eat vegetables very much, so I was apprehensive…but this is some of the best soup I’ve ever tasted. I’d always wondered about the recipe & then just two nights ago, a Facebook friend posted that she’d made the soup & I had to get the recipe. I made it tonight for supper & it was delicious! It’s rich, for sure…so don’t eat too much. It is also divine though! 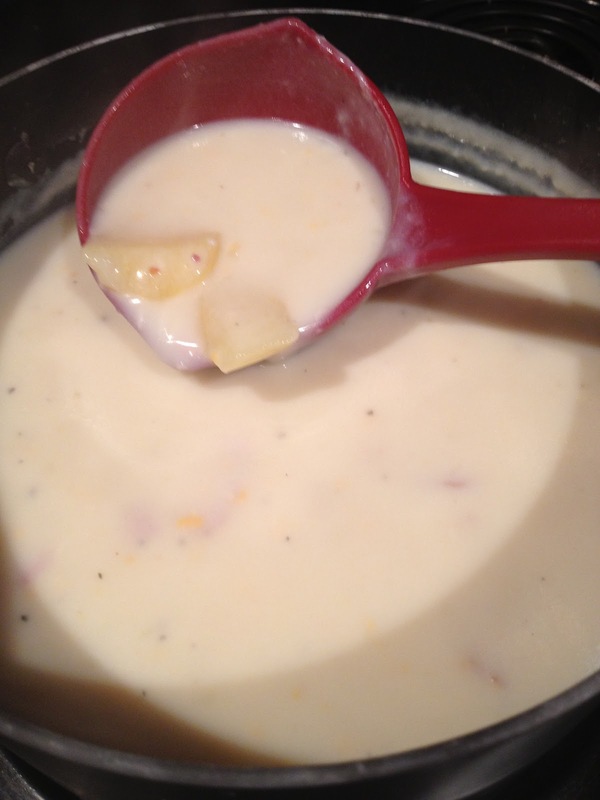 Melt butter in a sauce pan; add onion, garlic & corn syrup – simmer but do not brown. Add the half & half, simmering until the soup thickens to the consistency you’d like. This needs to be stirred pretty frequently & you should cook it on very low heat; I kept my eye at about 4-5 so that it just had small bubbles. You don’t want to let this boil. 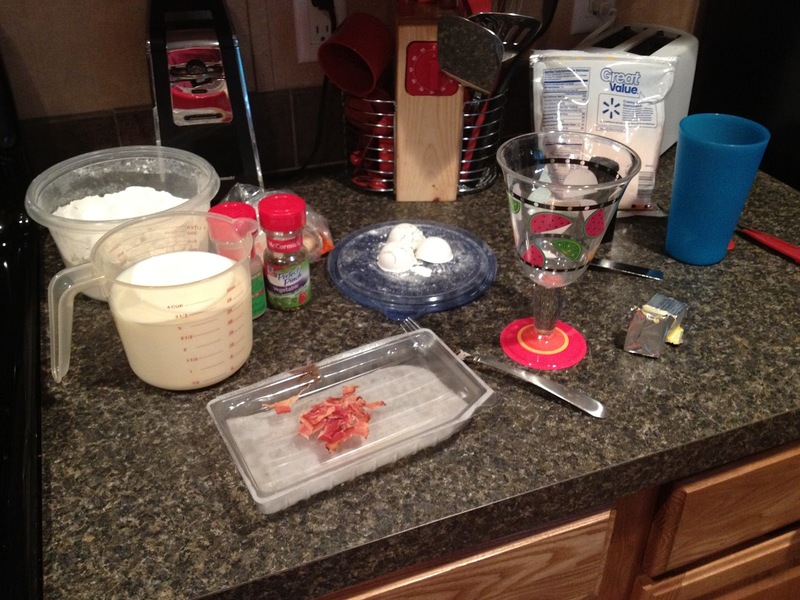 Almost all of my ingredients – my counter always looks crazy when I cook! 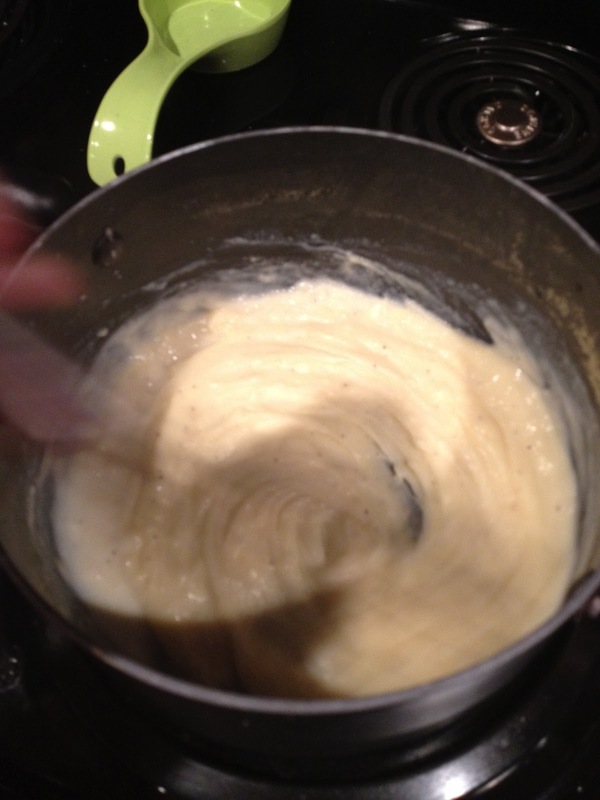 This is what a rue looks like – thick & creamy. Smooth out any lumps! Double meat – Canadian bacon & bacon. Delicious! 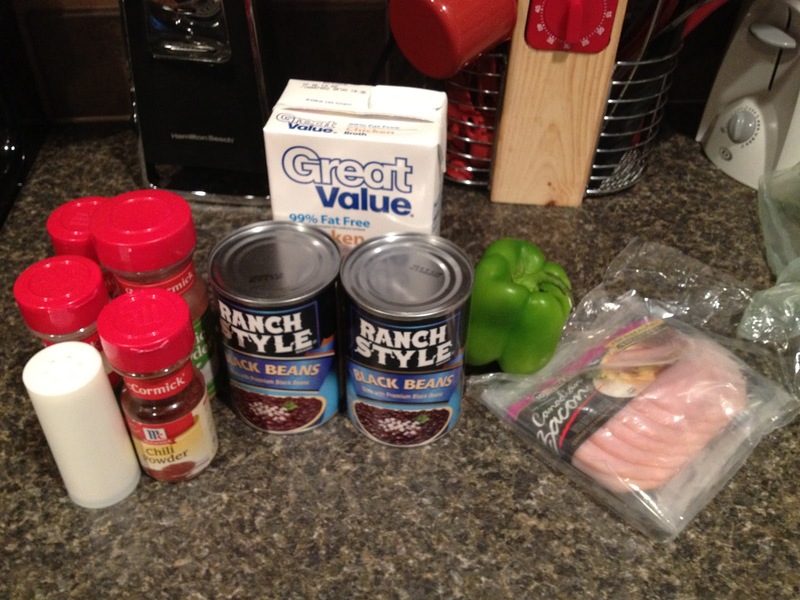 Another ingredients shot – I only had two cans of beans! Oops! 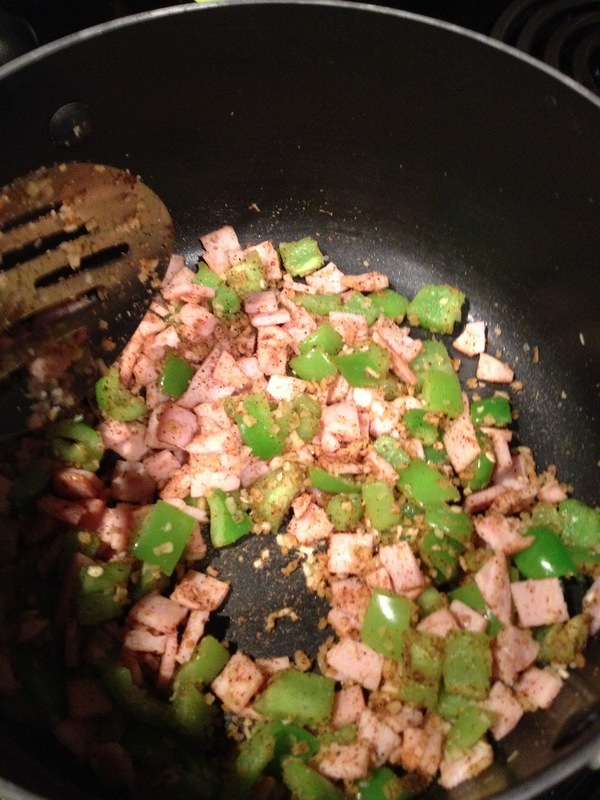 Cooking up some peppers, onions, spices & Canadian bacon – smells so good! Just a cooking…and looking good! The finished product! I absolutely love this soup! 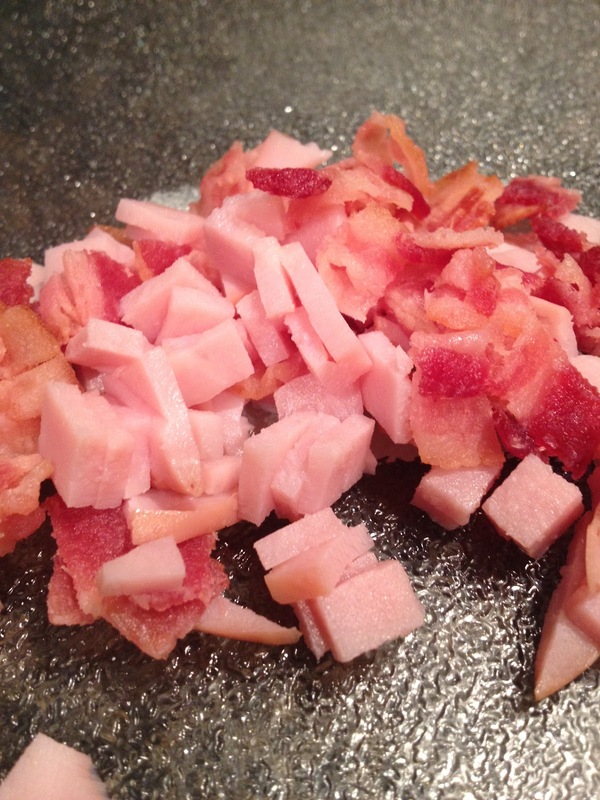 The last ingredient shot of the night…. Look at all the veggies – actually, I think I used too many veggies. Just a cooking…barely any bubbles. And…done! 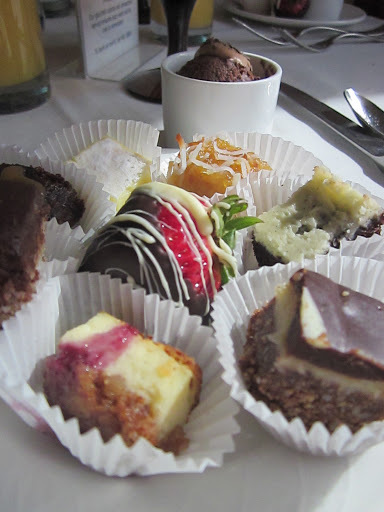 So yummy but so rich! I mean – can we say heaven on Earth? Are they the greatest? No doubt about it! ﻿Now, it had only been a month since I’d seen these wonderful people, but when you’re used to seeing folks almost every day & your life changes & you only see them about a month out of the whole year – yeah, you get really excited to see them. I just love Parent’s Weekend because not only do I get to be in Colorado with my family, but I get to see some of the sweet people we’ve met through the MS Parent’s Club over the last 4 years. I love the football game because we sit with all these people & just have a great time watching football, catching up & usually laughing over all the ways we are trying to avoid getting scorched by the sun! The CS16 tailgate was awesome, as usual! Shout out to the Proud Chickenhawks – they always serve up some delicious grub for pre-game fuel. I had a delicious burger & some fruit pizza, which was awesome! 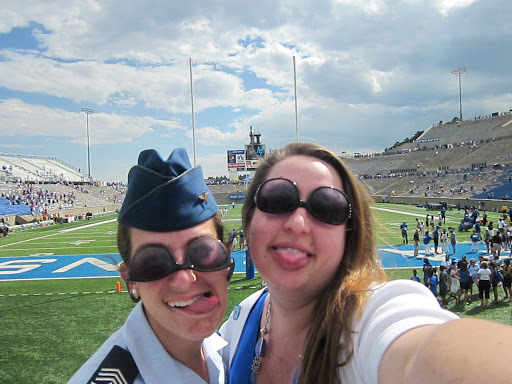 The Falcons won the football game, so far they are 4-4…we’ve not gone to a Parent’s Weekend game & seen a loss. I’m hoping they’ll go 5-5 & pull out a win next year too! 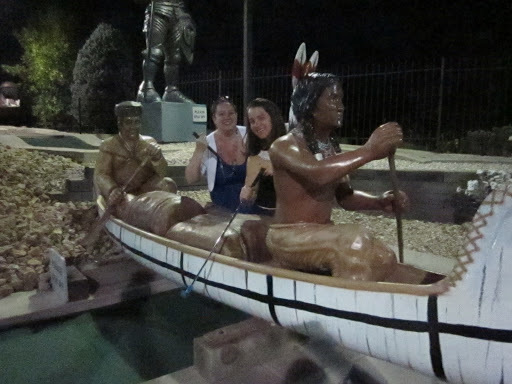 After supper at Mimi’s (a French style bistro) we had to go play Goofy Golf because we are basically excellent at this game. Well, most of my family is excellent…I think I indulge a little too much in the goofy side of it, but who cares right? I’m fairly certain I came in dead last when all was said & done, but I had a blast. 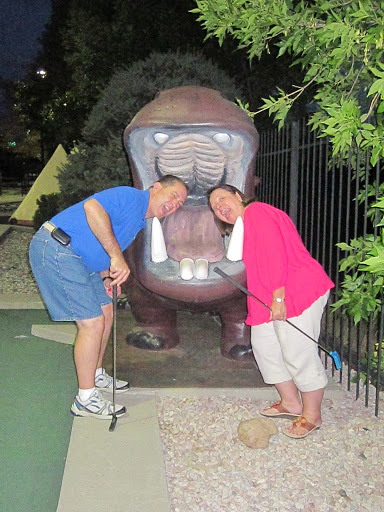 Contrary to popular belief…goofy golf can be dangerous. ﻿After sleeping late on Sunday – which for me seemed to be 7:05 every day; guess my body thought it was actually after 8, we went to brunch at the Moziac, which was the restaurant in the hotel we were staying at. Delicious! I have never tasted more amazing waffles in my entire life – I don’t know if they made them with little bits of Heaven or if they’d made a deal with the devil…they were divine. Perfectly crisp on the outside, light & fluffy on the inside. If I’d have discovered the waffles first, it would have been all over. 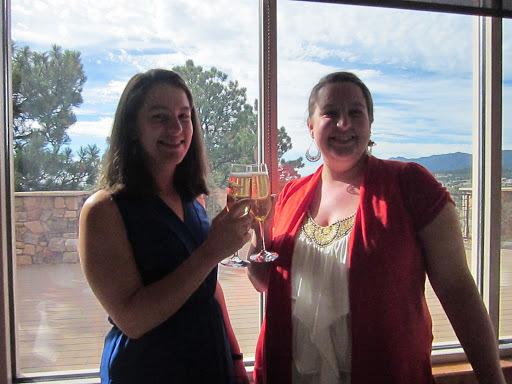 It was a champagne brunch, so of course Lindsey & I had to get some champagne just for the heck of it…we didn’t drink very much but we did set some strawberries afloat in it to watch bubble! Thank goodness they were bite-size! 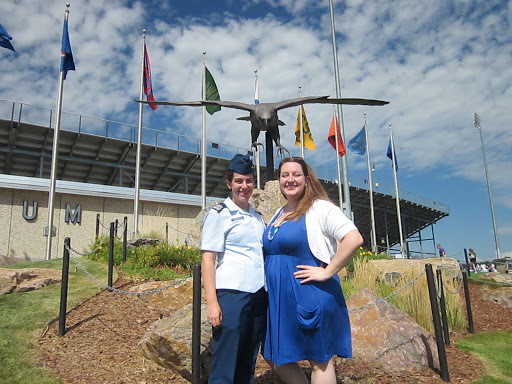 ﻿We had the opportunity to go to Jack’s Valley on Sunday afternoon, which is where Lindsey did the 2nd half of her Basic Training; the half “fondly” referred to as Beast. We’ve always been interested in seeing Jack’s Valley but every year Lindsey has said nope. I guess she’d finally gotten over the horrors of Beast & was able to take us back to tour. Let me tell you, my sister is a Beast; I don’t know how she made it through some of those obstacles but for sheer force of will. 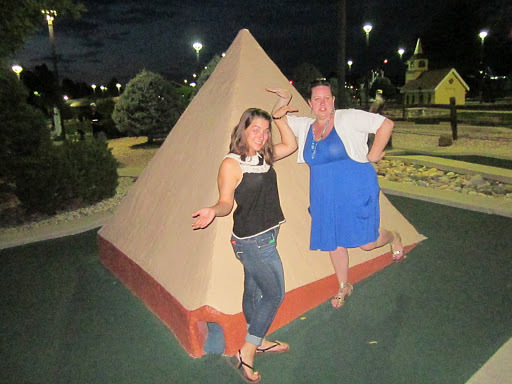 We took some goofy pictures on all the courses, but I’m certain that the first time she visited Jack’s Valley she wasn’t nearly as giggly or free-spirited as she was with us. 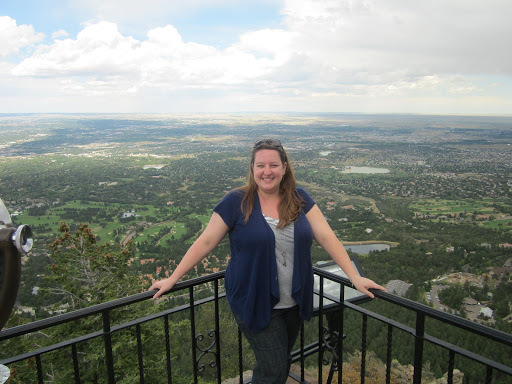 I am certain that my little sister is absolutely amazing – because she owned that course. A sign says only the strong survive & they aren’t kidding. I’m proud to say my little sister is one of the strong. 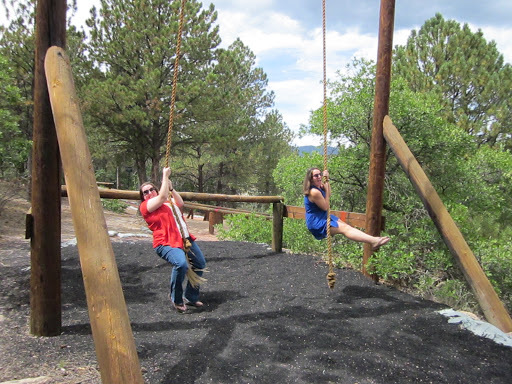 Just a swinging…which is not what this is used for, I’m sure. If my life depended on this…I’d be sunk. Not actually made for getting a tan, can you believe it? 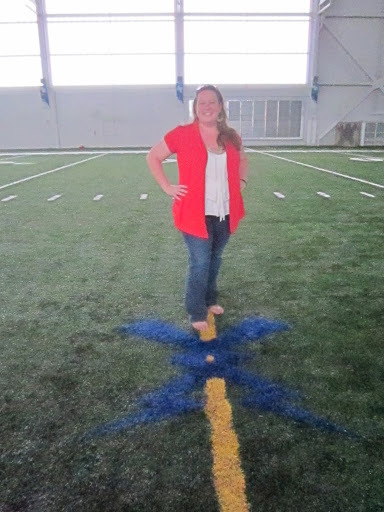 ﻿We also went all over campus, just checking out the new Holaday Center, which is a multi-million dollar indoor training field for the football team. It is literally an indoor football field, complete with uprights & everything. We had the whole building to ourselves & so I ran for a TD, stood on the 50 yard line & just collapsed in the end zone like a champ. It was no doubt one of the most awesome buildings I’ve been in. 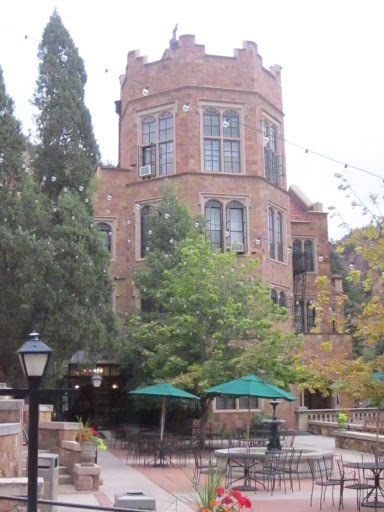 ﻿We spent the afternoon at Glen Eyrie Castle. 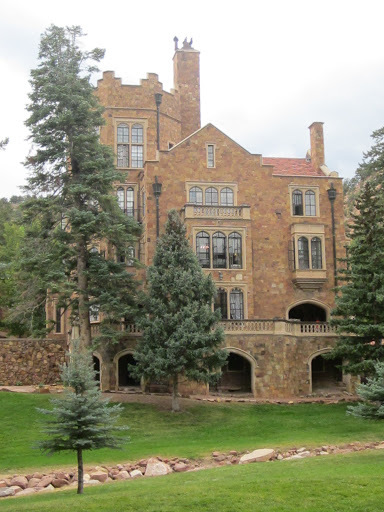 This is a Christian retreat center in Colorado Springs; the Navigators, which is the BSU-type group that Lindsey goes to, own the castle & the grounds. 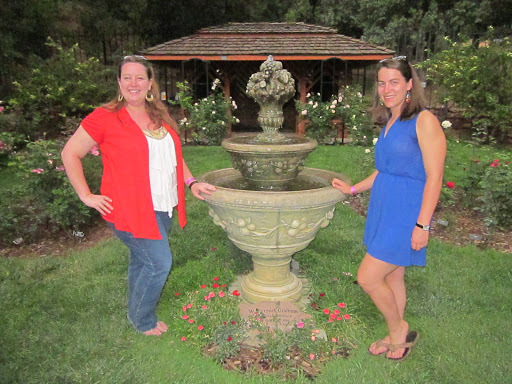 We toured the Pink House, which is where Lindsey goes to different events from time to time & we were also able to see the rose garden & tour the castle too. The castle was hosting a special exhibit on the Bible through History – so not only did we get to see a really cool castle, we also got to see some pretty cool Bible stuff & listen to a curator talk about how the Bible developed into what we use today. Once we finished up there, we got supper & introduced our Dad to the movie “Bridesmaids”…which I think he thought was funny, but not as funny as me, Mom & Lindsey think it is. 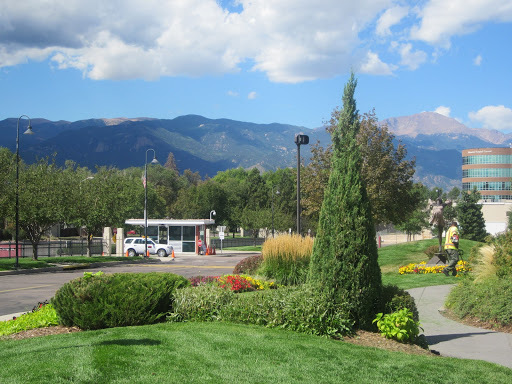 Seriously – there is not an ugly view anywhere you look. 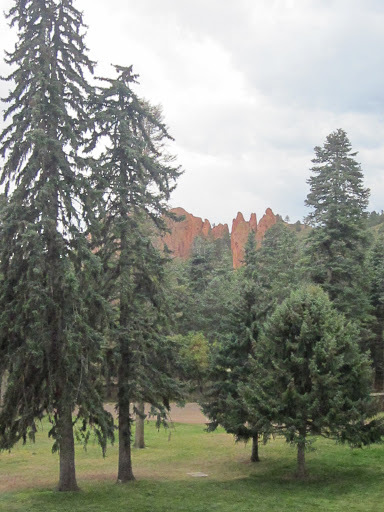 Glen Eyrie Castle – lovely. They have tea – imagine how pretty with all those lights lit up! ﻿Monday…the last day of fun. We made sure to make the most of it, as we always do. 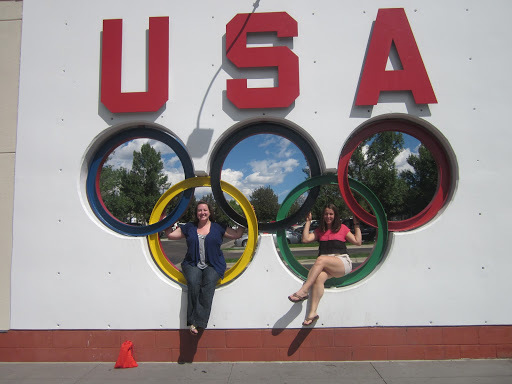 We slept a little later (unless you were me – I still woke up at 7:05) had breakfast & then went to the Olympic Training Center! 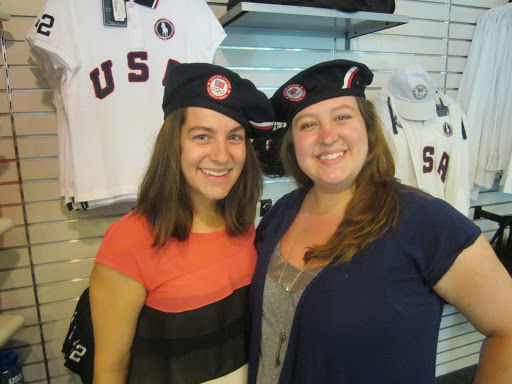 Lindsey & I were kind of wildly spastic about checking the place out; we were still on a post-Olympic high. They showed a video of Olympics highlights from the 2010 Winter Olympics & the 2012 Summer Olympics & I will admit it made me feel so patriotic & emotional…which cracked up my Mom & sister. Glad my love of country was worth a laugh guys. Gee. 😉 Athletes actually live at these training centers in preparation for the Olympics & they also hold training events there from time to time. 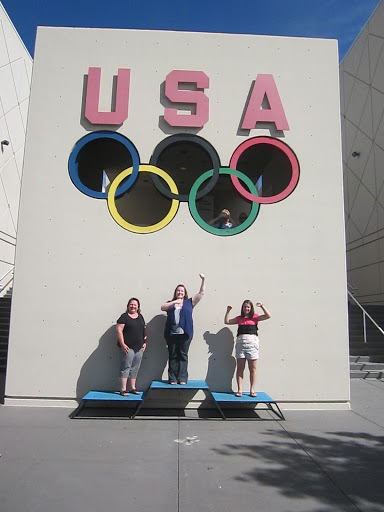 While we didn’t find Michael Phelps or Nathan Adrian wandering around anywhere, we still had a blast & got caught up in the Olympic spirit. 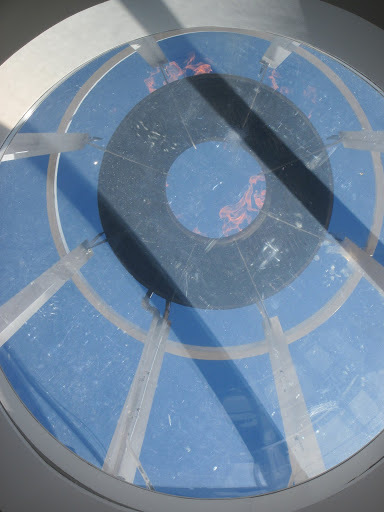 Also, this just in – During the Olympics I read all these different reasons why the Olympic rings are those 5 colors & nothing I read was correct. The real reason they are those 5 colors? Because at least one of those five colors appears on the flags of countries that compete in the Olympics. So, there is your fun fact of the day. I think we’d fit right in with the athletes. 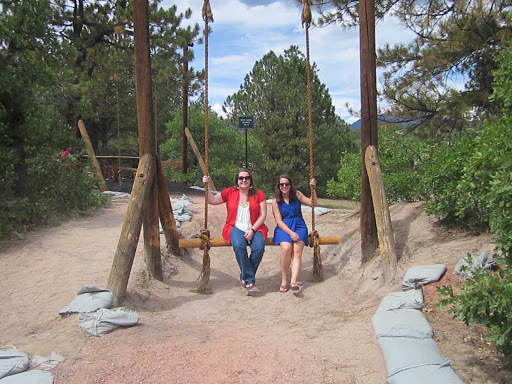 ﻿One of the last stops of the weekend was the Cheyenne Mountain Zoo – which I have now been to 3 times. I’ve been to the zoo 3 times in 4 years & I come to realization that I’ve probably been to the Cheyenne Mountain Zoo more than some Colorado Springs residents. So, that’s interesting. Mom was really into feeding the giraffes; she loved it. There are doing some work on the zoo, so I think it is getting bigger & better…which is awesome! It is already a pretty excellent zoo. 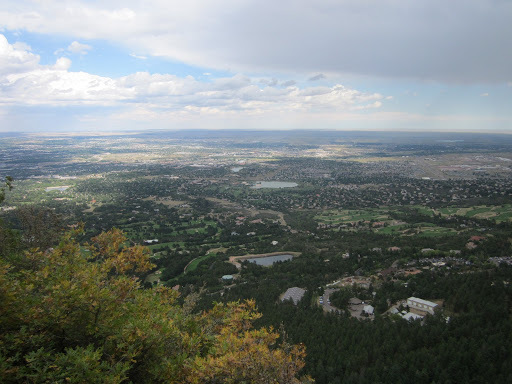 One of the things that you can also see when you buy admission to the zoo is that you are able to drive up to the Shrine of the Sun, which offered some absolutely amazing views…it was a great way to end the day, with stunning views of Colorado Springs. 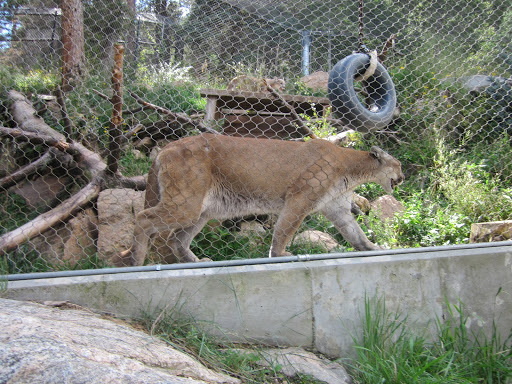 My favorite animal…the mountain lion! 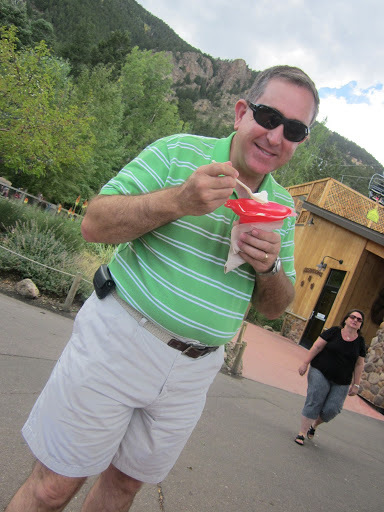 So excited about his soft serve – he’s like a kid! 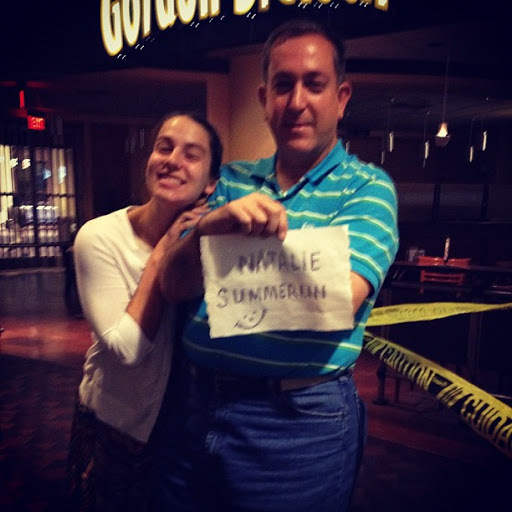 ﻿All too soon, it was time to deposit Lindsey back at the Academy & head back to our respective homes. We got in our last hugs & kisses, made sure she had all of her things in her dorm room & then we parted ways. 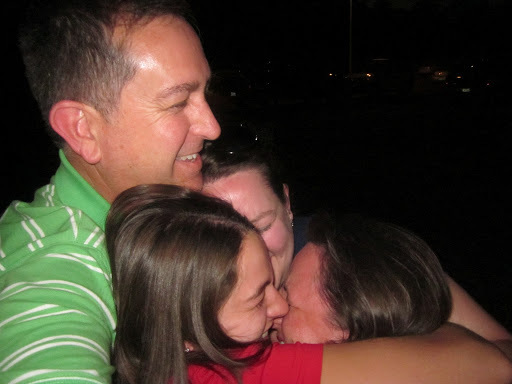 Tuesday we tried to find a way for me to be on the same flight as my parents, so we could all have just a little more time together, but it just didn’t work out that way. So, I said a second set of good-byes, sat in the Denver (and then Atlanta) airport until I was almost bored out of my mind & finally got back to my home sweet home around 8 on Tuesday night. 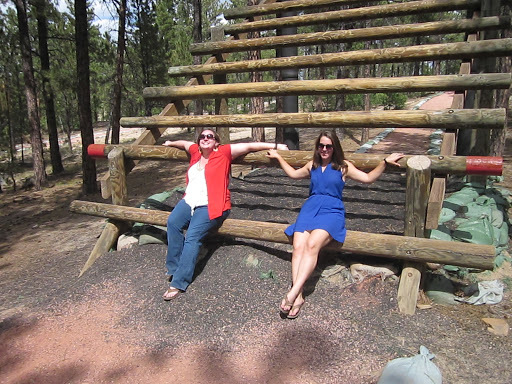 Another wonderful trip & memories made with my family!